Get on with your day to day, knowing that Luma has you covered. From the busy motorbike commutes on the streets of Ho Chi Minh city, to weekend getaways to Phú Quốc. Wherever you are, Luma fits seamlessly into your life in Vietnam. Whether it’s your weekly sport game or a routine day, surprises will no longer be a concern knowing your health and well being is looked after. You can have peace of mind knowing you can enjoy the important things in life, with the unexpected taken care of. Luma offers great health care solutions and plans suitable for both medical insurance for expats in Vietnam and locals looking for family health insurance in Vietnam. We offer the solutions to specifically cater to your needs. Our service includes a lifetime renewal guarantee, regardless of age or medical condition – perfect for those looking for family health insurance in Vietnam. If you’re an expat looking for medical insurance for expats in Vietnam, or a frequent traveler looking for health insurance in Vietnam for foreigners, we have worldwide coverage for accidents and medical emergencies, as well as free choice of medical provider – so you can relax and live life without worry. 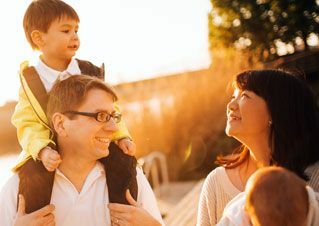 A wide range of plans are available for individuals or families looking for comprehensive and international health insurance solutions in Southeast Asia. Our policies cover medical insurance for expats in Vietnam and local Thai residents. Many Vietnamese nationals and residents are already customers of Luma’s excellent family health insurance . That’s because of the convenience and the peace of mind that a Luma health plan affords. For health insurance Vietnam, foreigners such as our expat community could benefit from a Luma health plan. Luma provides excellent levels of coverage and support for all members. Luma has the global coverage with local presence and services near you, created and assisted by passionate health care professionals. Your health is our priority, and that’s why we want to offer the best service that we possibly can for international health insurance in Vietnam. If you are a Thai resident or expat, we can offer a bespoke plan to suit your health care needs. Our aim is to provide all our members with the peace of mind that comes with knowing you’re covered, whatever the situation. Cashless Insurance – At Luma, we can often settle the bill directly with the hospital so our members don’t have to pay upfront at leading medical facilities. Claim process in 5 working days – make a claim via Luma online service and Luma Care App, anywhere, anytime. Always near you – Global offices and international support through telephone and online. Luma offer a sensational range of health care plans to meet your needs. With all of our products, members will receive the same level of support and service through our local offices, online service and 24 hour telephone support. Asia Care Plus Vietnam Designed for Vietnam expats and locals, Asia Care Plus plans provide you essential & comprehensive coverage, guaranteeing you complete peace of mind. All Luma Plans are fully comprehensive, and include an initial consultation, during which we will tailor-make a bespoke solution for each individual’s need. For more details about our plans, and to arrange an initial consultation, please contact us or call +66 2665 3600. Asia Care Plus Vietnam Designed for Vietnam expats and locals, Luma Plus plans provide you essential & comprehensive coverage, guaranteeing you complete peace of mind.